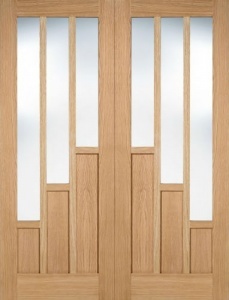 The fully finished Oak Portici blends contemporary horizontal grain with real aluminium inlays to create an impressive looking door that would bring a touch of class to any home. Pre-Finished in a clear AC lacquer and ready to hang. Complementary glazed and fire doors are also available in the range along with a Walnut alternative.